Removable wired control panel for remote control of the platform during translation. Electro-hydraulic controls: efficiency and safety for the operators. 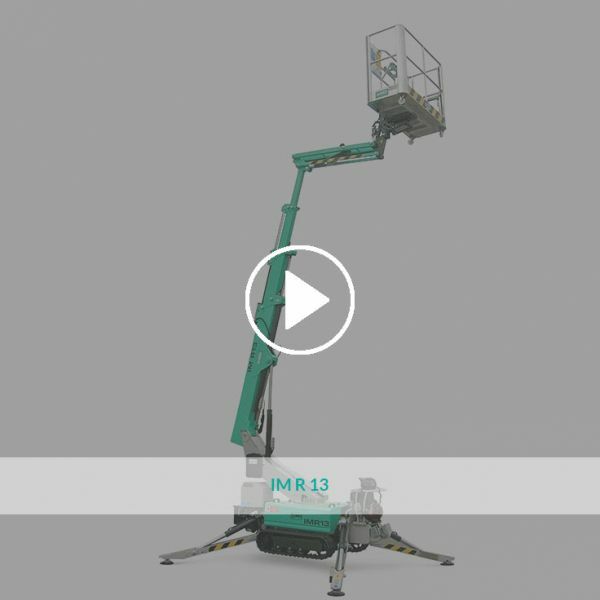 Turret slewing 360° (not continuous): aerial accessibility in any work situation. Compact overall sizes and reduced stabilization footprint (2.7 x 2.8 m). Reduced weight (1,460 kg) for maximum transportability. Hydraulically adjustable tracks width (optional): higher stability and greater traction to move around the building site and rough terrain.